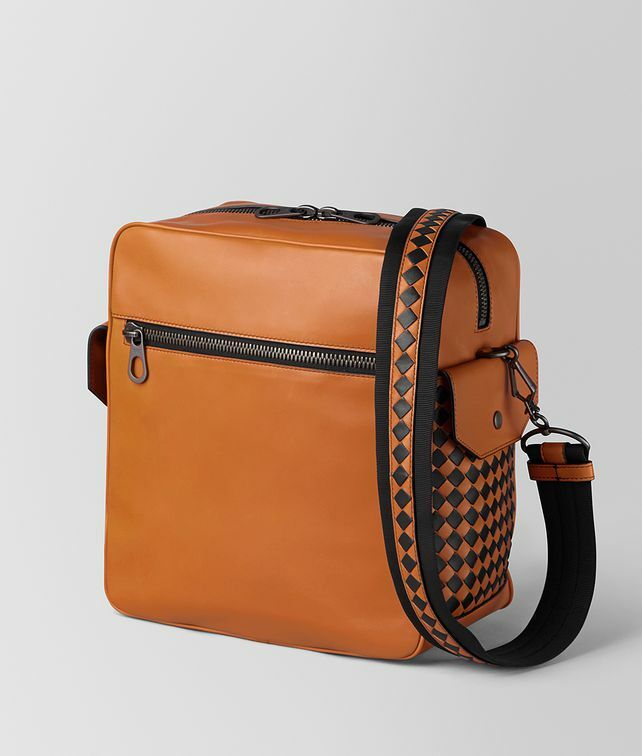 This compact messenger bag, called the Pilot 18, is a new style made with the Intrecciato Checker workmanship in ultra-supple Butter Calf leather. The graphic contrast weave is used only on the sides and straps, making a discreet and modern statement. Designed to be highly functional, the the exterior of the Pilot 18 features two ample pockets (one zipped, one buttoned) and two lateral pockets with a flap-button closure. Inside, there is a zipped pocket and smartphone holder.